Polling Guru is a site dedicated to reflecting on and discussing current and historical public opinion research. Public polls, that is polls released into the public domain, are a mainstay. There are too many polls to write about. In fact, 200 public opinion releases are put into the public domain each quarter according to the Public Polls Project. 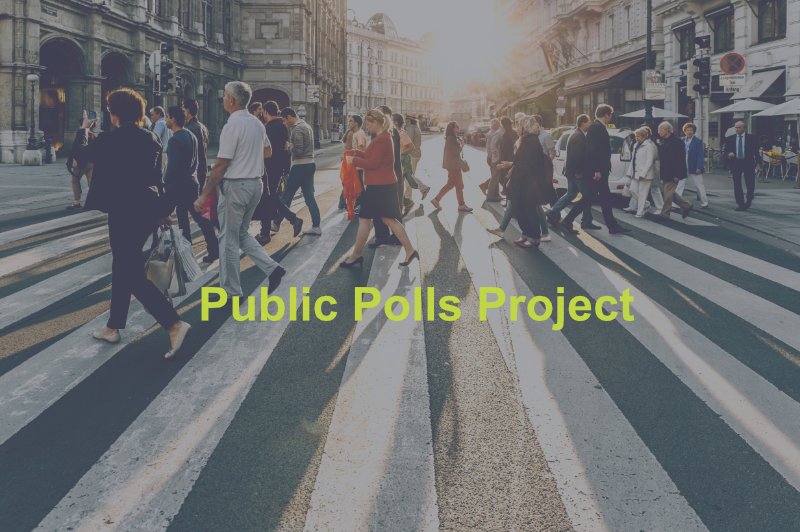 The project is the initiative of Richard Jenkins and Jenkins Research Inc and offers a glimpse into the world of polling. 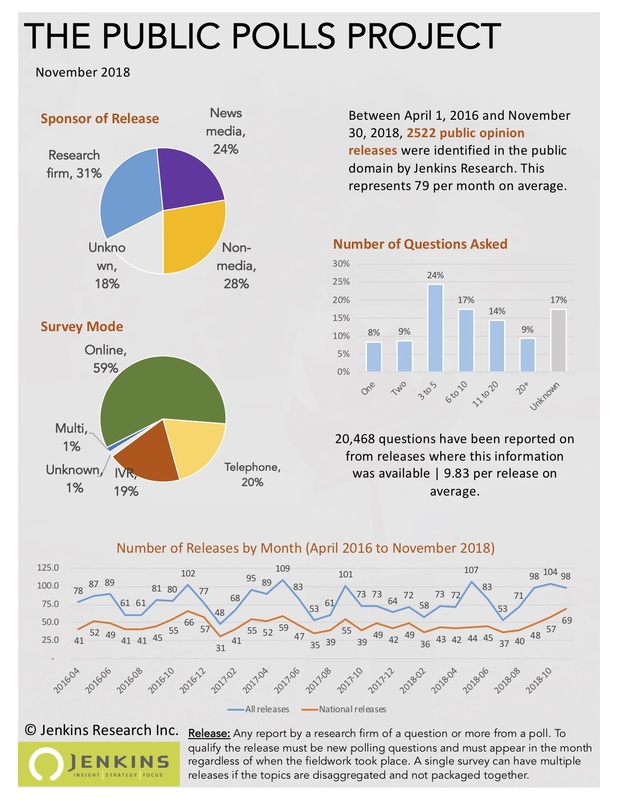 The monthly tracking is available below along with the current number of unique releases identified by the project since April 2016. The PowerBi graph is interactive and updates in real time as new polls are added to the database. The state of public polls in Canada tells us a lot about the state of public debate about issues in Canada. Public opinion polls are critical ingredients of public discourse. They provide our companies, not-for-profits, and democratic institutions a peek into the minds of Canadians. This in turn helps them affect or respond to social, economic and political events. The Public Polls Project has a lot to tell us about the business of reading our minds and using that information for commercial or political gain. Polling in Canada: Online Reigns but Telephone Still Relevant [PollingGuru]. Online is the most used methodology for public opinion research that reaches the public domain. It is, however, not the only method. Telephone is still important and IVR is also widely used. Number of Questions in Average Public Release [Jenkins Research]. The number of questions asked is an indicator of the depth of insight of a public opinion release. On average, research to date shows that each public opinion release has 10 questions. Below is some highlights of the character of public polls in Canada as of the end of November 2018. Data is protected by copyright and may not be reused without permission.